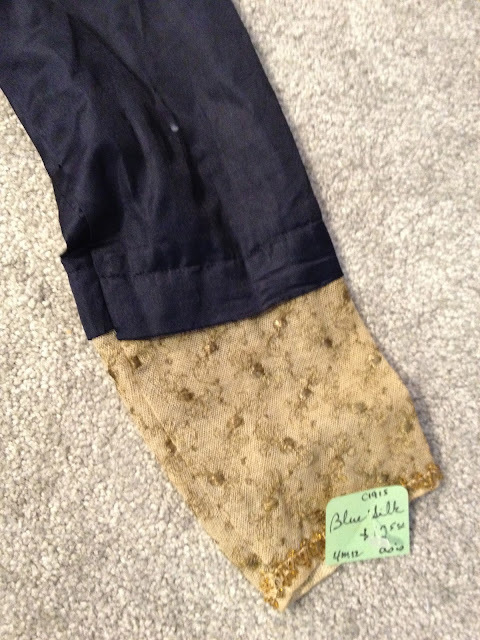 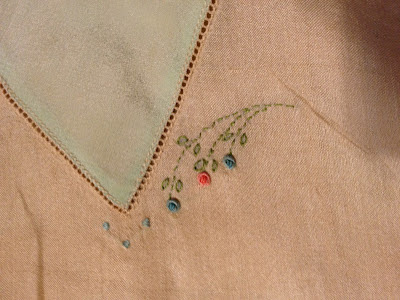 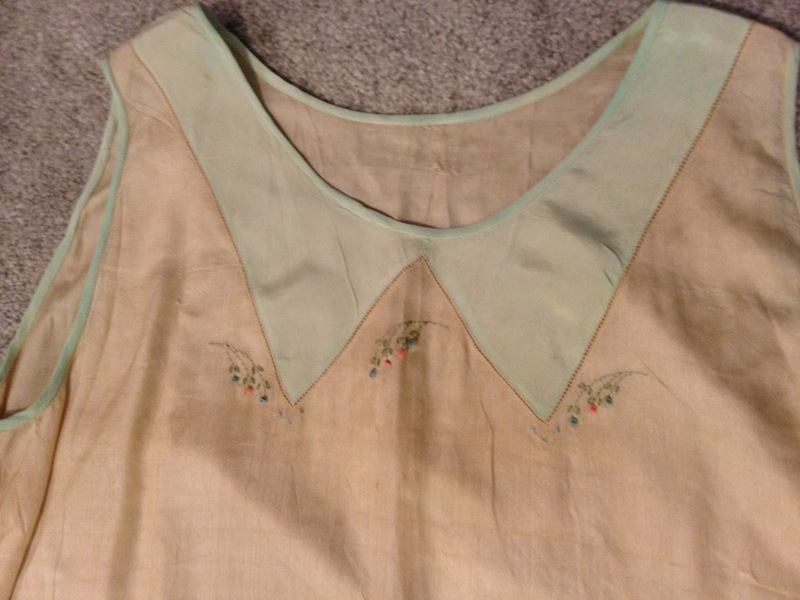 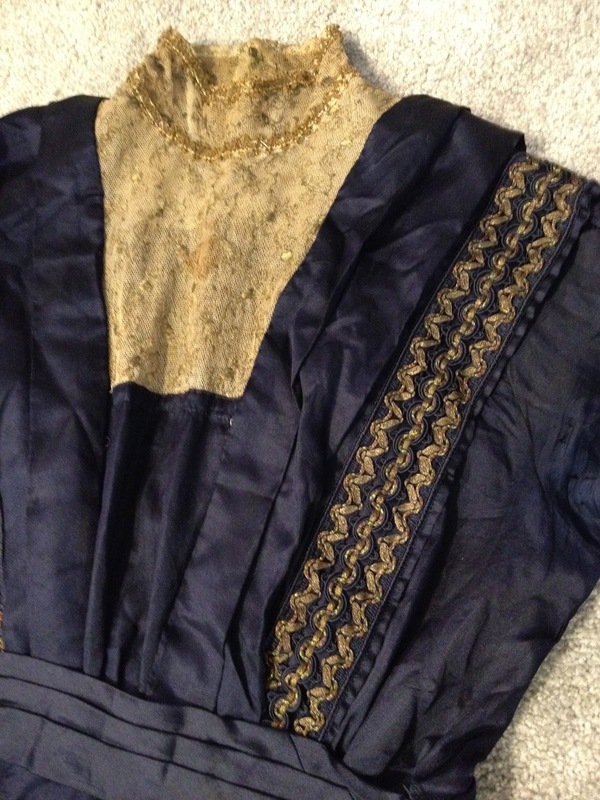 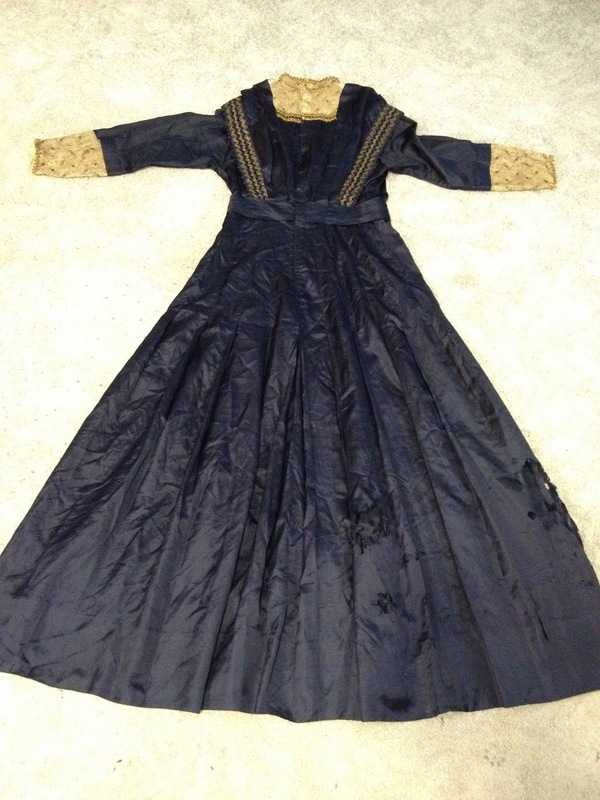 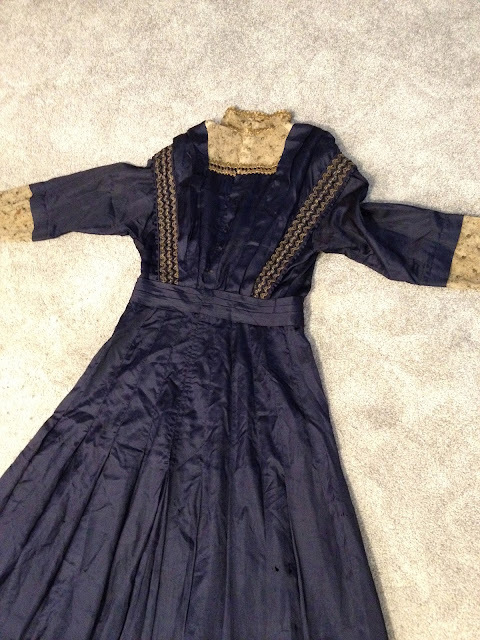 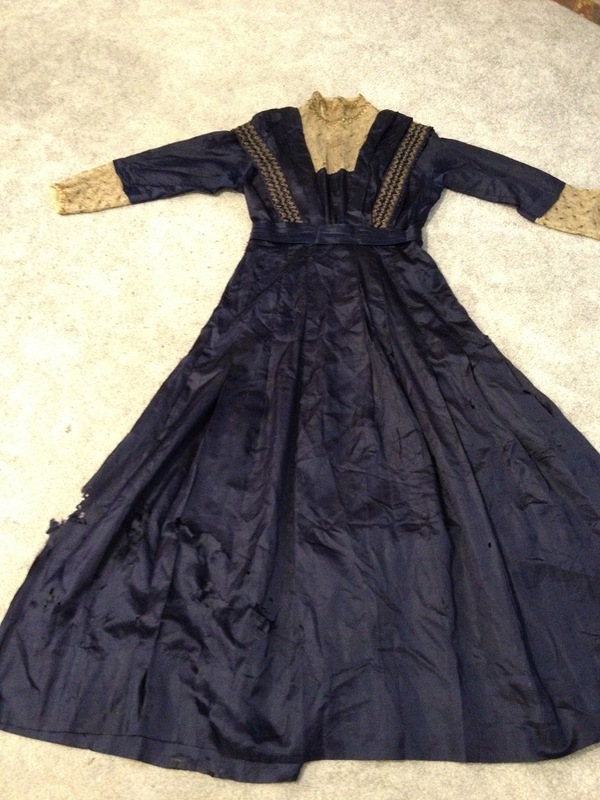 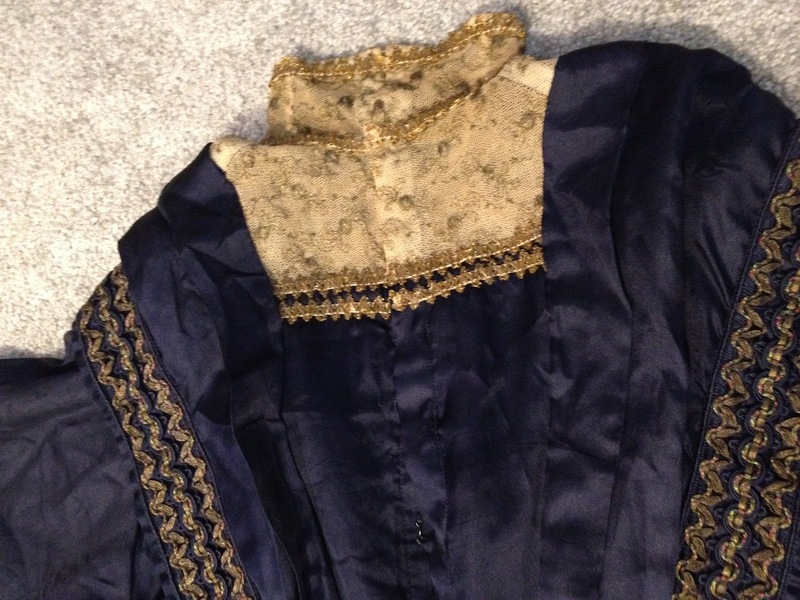 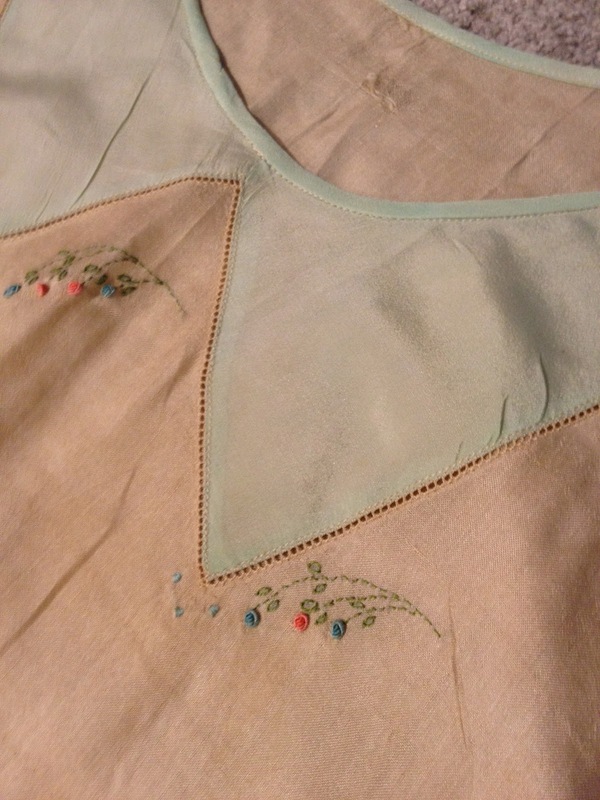 Here is a blue gown, also circa 1915 - it's in rougher shape than the pink one and cost less than $10! The trim is really interesting, as is the construction. 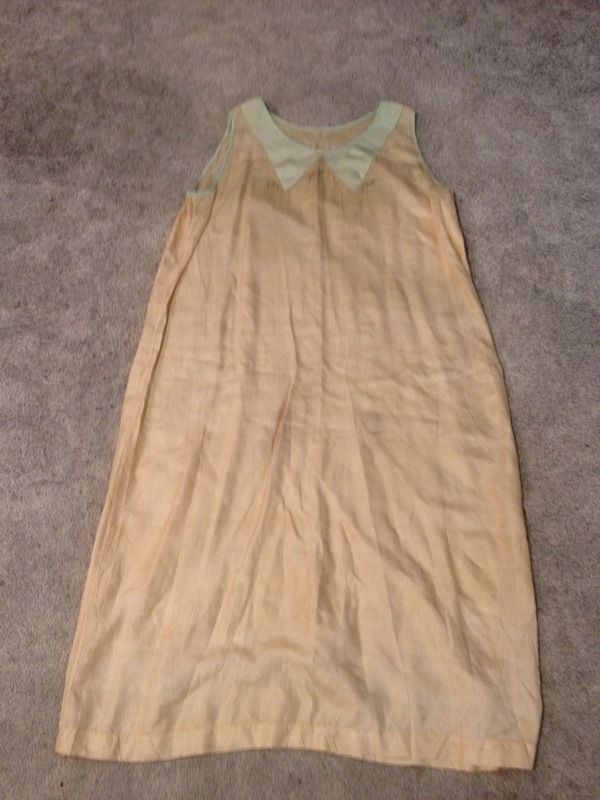 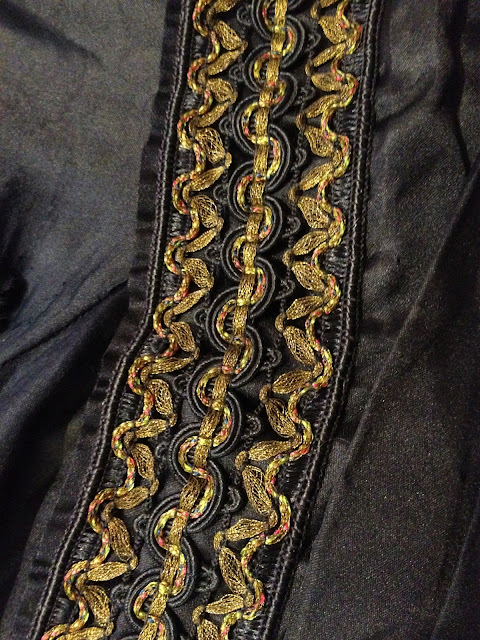 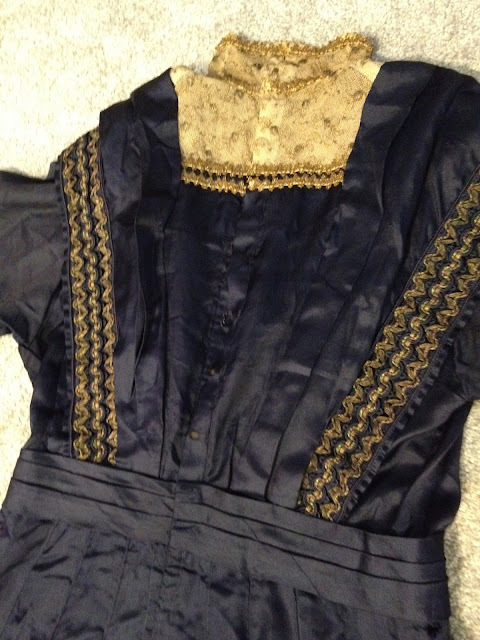 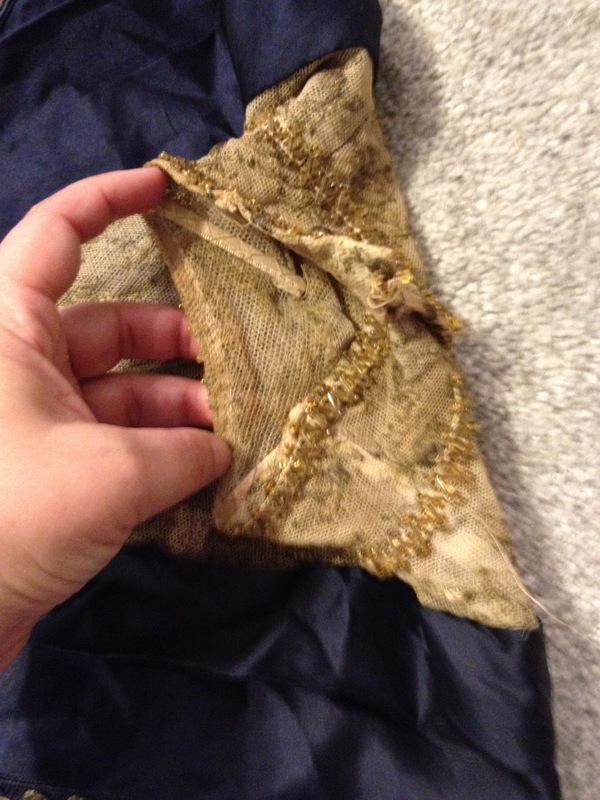 I also got a bodice from 1895 for $5, and a 1940s wedding gown for under $10 - I haven't taken pics of those yet though!